Mixed field and forest - narrow and challenging, with a fair amount of OB. E18 toward Norrtälje, right to Åkersberga. Just after 2nd roundabout take left and left again on Centralvägen. Take 2nd right to Hackstavägen and drive just past Åkersberga Sporthall to a left into gravel parking lot. 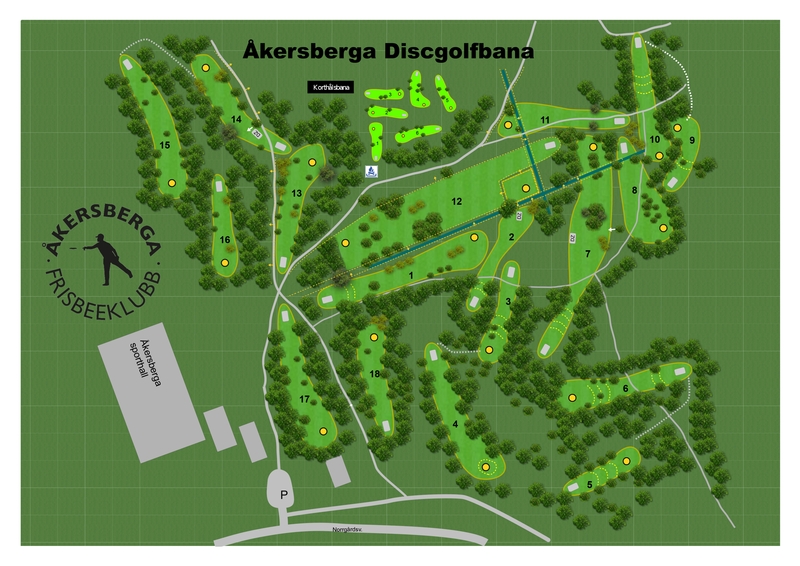 Have you played at Akersberga Discgolfbana? Be the first person to review this course!